Lunch in Brussels meant cured meat, cheese and bread – and a beer tasting. 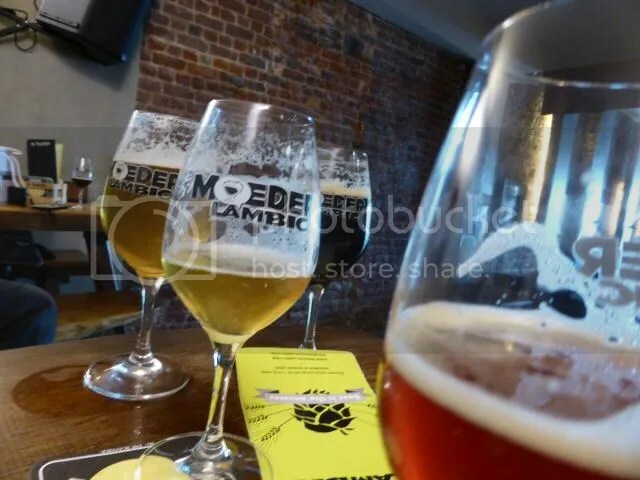 While the two Moeder Lambic bars have established themselves as cornerstones on the Brussels beer scene, this is the first time I have visited any of them. Easy to find, minutes away from the main attractions for the tourist and strategically located if you are in town for business. Business usually meaning government. We enjoyed a conversation with Jean Hummler, one of the two owners of the company since 2006. With great passion he gave us samples of some of his beers while talking about his philosophy about beer (and food). Their focus is on Belgian beer, but not exclusively so. 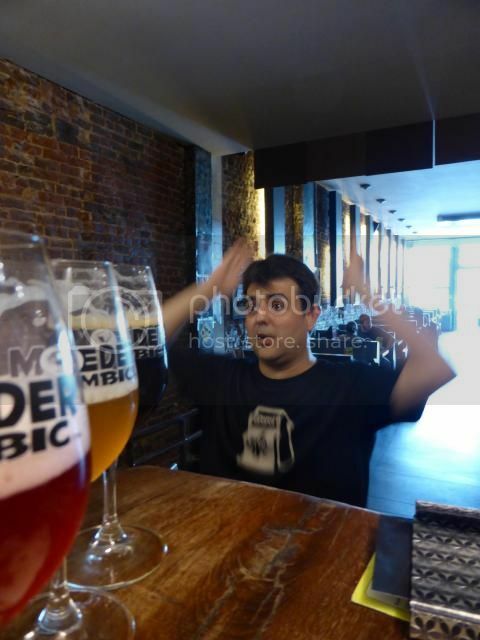 Among the 150 Belgian breweries, there are 15 outstanding, according to Jean. When he considers which beers to order, he considers both taste and how the beers are made. Freshness is the imperative word, and the taps and the temperature control makes sure the quality is as good as it gets. There is a broad range of customers in the bar, an estimate is 60 per cent local, the rest expats and tourists. Most are in the 25-25 age range, but there are also students saving up to drink the best beers they can get. There is no best beer in the world, says Jean, but there is one that is best for my palate. Among the beers we got to sample were an Oud Bruin from Verzet, less sweet than others of the same style, and a very interesting brewery to follow. 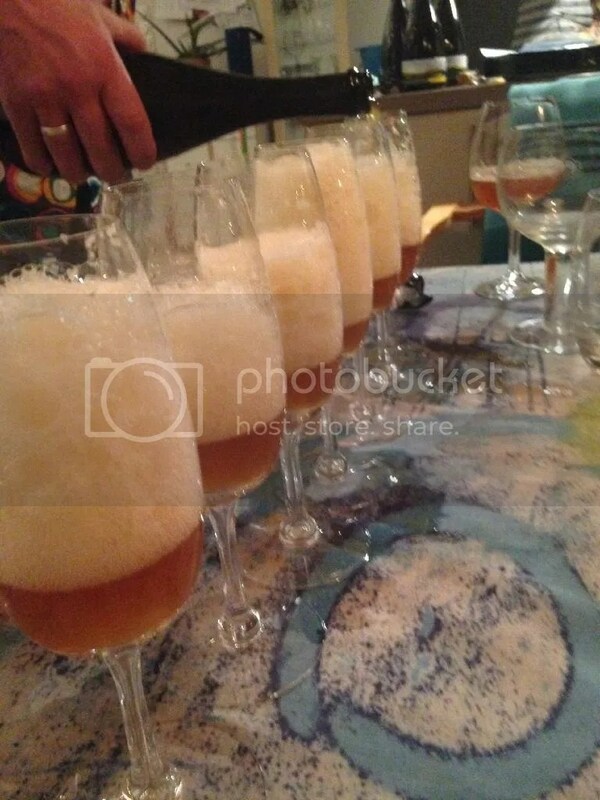 Cuvee de Ranke is a blend using sour beer from De Ranke blended with Girardin lambic. The lambic has consumed the sugars from the other beer, but it still has a hop profile that is is more prominent. This is a bar, not a restaurant, but there is excellent cheese, salami etc if you cannot tear yourself away. Endless rows of beers on tap, bottles in the fridge, too. 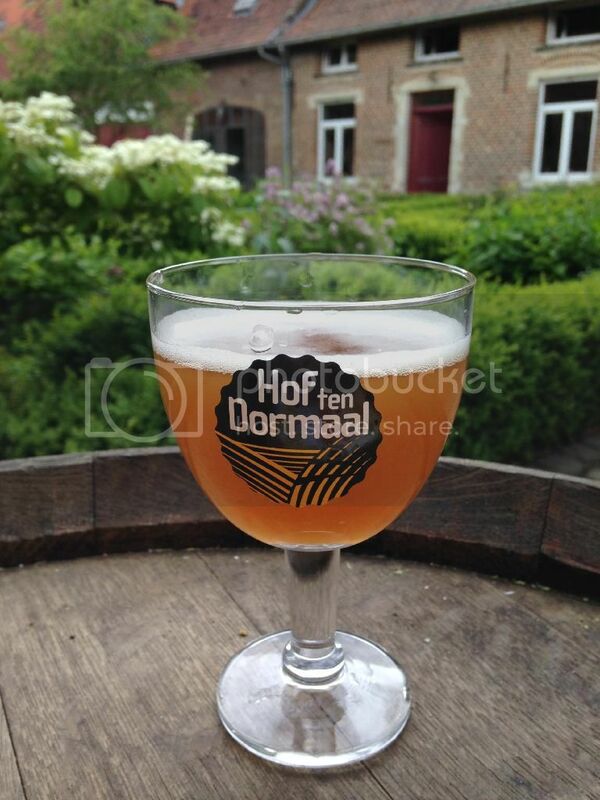 Not exclusively Belgian, we even got to try a fresh pale ale from Kernel while we were there. But the imports also have to live up to the demands for freshness that they set for the national beers. Check out their website for a list of the current beers on tap. You will not regret a visit. On arrival in Brussels, I met most of my fellow travellers at the Cantillion brewery. We were not given any special tour, and I will not waste your time retelling the information in their brochures. But if your are seriously interested in beer, this is a place you need to visit once. 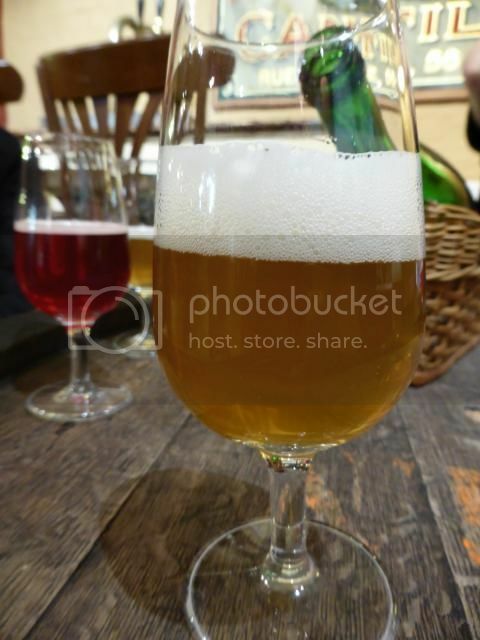 It is a living brewery museum, where lambic, the spontaneously fermented beer of the Brussels region, is brewed the way it used to be. If you want to see the active process, you need to turn up during the winter, as this beer can not be brewed during the warm months. There are open brewing days when you can participate more actively, too. Check their web site for details. After finishing your trip, taking in the aromas of the beer alchemy taking place in the oak casks, there are two beer samples waiting for you. But there are also some special bottles you are unlikely to find anywhere else. 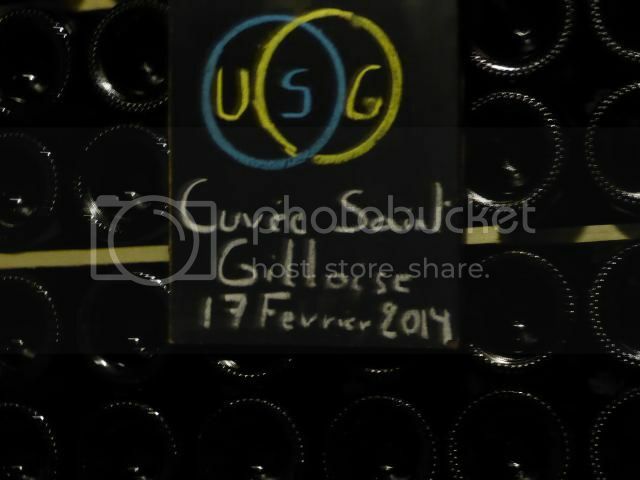 We shared a bottle of the Zwanze 2012 Geuze with rhubarb. A fresh, well-balanced geuze with a hint of sweetness. Some rhubarb in this blend, but, while there is some fruitiness, it is impossible to detect any particular flavour from that. Since my last visit – about seven years ago, I suppose, they have rearranged the reception area, expanding the shop and adding a sit down bar area. 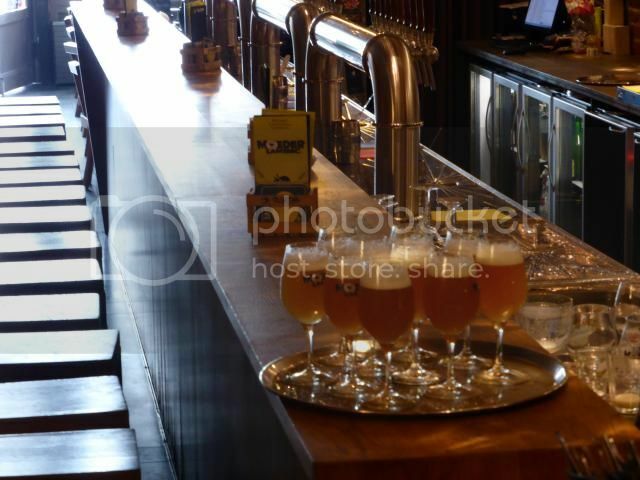 There used to be just a very basic counter and a few empty barrels, now there’s a lot of blond wood and a place where you could actually hang out and sample some beers. But that was not for us. We had places to go. Many places. I had serious ambitions about doing live blogging while in Belgium, but the schedule did not really allow for that. It was only on the plane back that I really felt able to sit down and think through it all. So, yes, there will be some impressions from our brewery visits, less on the beer cafés, a bit about beer tourism and so on. And to make this perfectly clear once again, I travelled to Belgium with seven other Scandinavian beer writers. We were guests of Visit Flanders, the Flemish tourist promotion office. I am not obliged to praise everything I experienced, and I will give my honest impressions to the best of my abilities. But it was really an adventure. So stay tuned. What we saw were contrasts, even among the small scale breweries we visited. The deeply traditional, the passionately local, the exclusively organic, the scientifially based, the beers that came back from the dead and the rock ‘n’ roll brewers that take their show on the road. And these people have stories to tell. Maybe traditional television goes the way of printed newspapers. But I hope someone records the thoughts of the people we met on this trip, it would be another way of protecting the heritage. A side note: If you want to visit Belgium, do it now. If they had figured out what to do with Brussels, the Belgian state would probably be gone already. 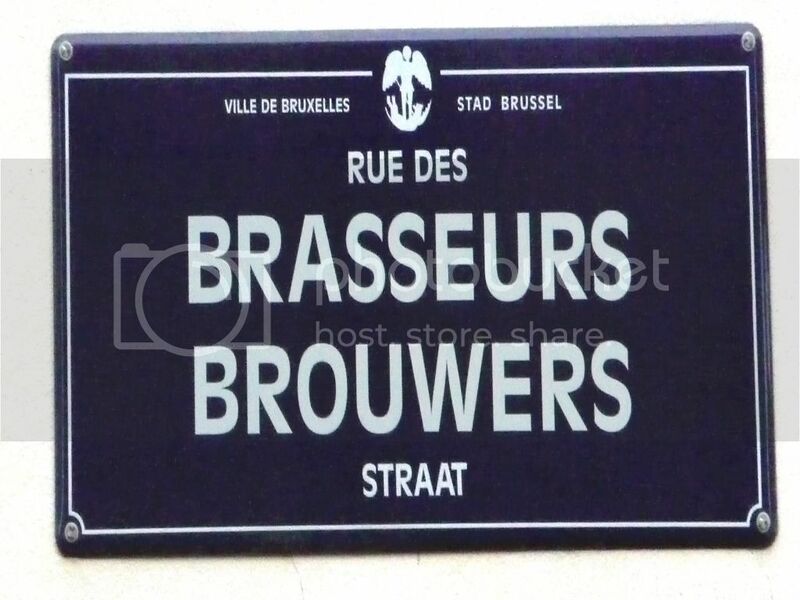 Their native Flemish is the tongue they use among themselves, but many of them speak what passes for French at Bruges, or even a few words of broken English, if some unwary stranger from acros the Channel is rash enough to venture on doing business with these sharp-witted plausible folk. In the table of content, there are lists of illustrations, some of them from taverns. They are, however, missing from the current electronic edition. We can only imagine. There turned out to be another book by George W. T. Omond on Amazon. Bruges and West Flanders, published in 1906. The country life is simple. A good deal of hard drinking goes on in most villages. 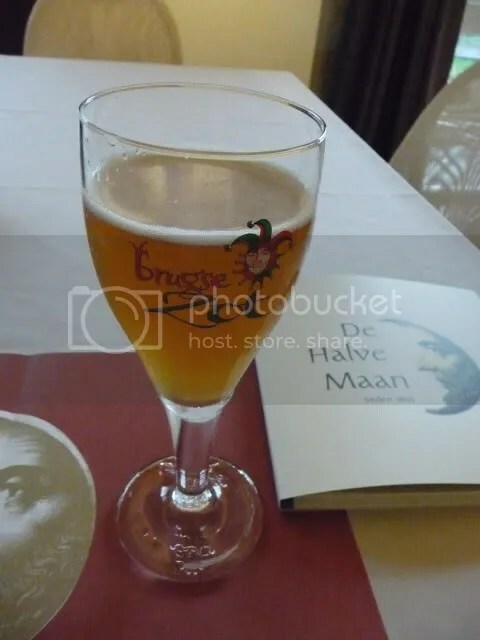 More beer, probably, is consumed in Belgium per head of the population (sic) than in any other European country, Germany not expected, and the system of swallowing “little glasses” of fiery spirit on top of the beer brings forth its natural fruits. The drunken ways of the people are encouraged by the excessive number of public-houses. Practically anyone who can pay the Government fee and obtain a barrel of beer and a few tumblers may open a drinking-shop. It is not uncommon in a small country village with about 200 inhabitants to see the word Herberg or Estaminet over the doors of a dozen houses, in which beer is sold for a penny (or less) for a large glass, and where various throat-burning liquors of the petit verre species can be had at the same price; and the result is that very open a great portion for the scanty wage paid on Saturday evening is melted into beer or gin on Sunday and Monday. As a rule, the Flemish labourer, being a merry, light-hearted soul, is merely noisy and jovial in a brutal sort of way in his cups, but let a quarrel arise, out comes the knives, and before the rural policeman saunters along there are nasty rows, ending in wounds and sometimes in murder. When the lots are drawn for military service, and crowds of country lads with their friends flock into the towns, the public-houses do good business. A nap on the plane, a coffee on the train, ready for some sponanous fermentation. 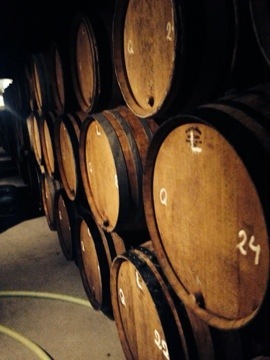 First stop of the Grand Tour of Belgium: Brasserie Cantillon. As they say on their web site: A time machine. Back to beers from another age. Saved from extinction by a handful of enthusiasts. A museum, but a living, working museum. We share a bottle of Swanze 2012, if there were rhubarbs involved in this they are hard to detect now. The airport express train is approaching. 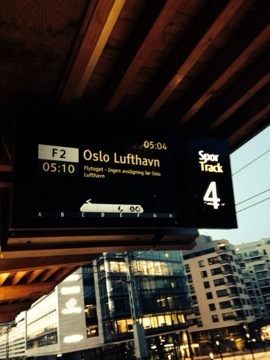 But it is early. Way to early. And no coffee to be had at the station. If I were a wee bit smarter, I would have asked for a flight last night. And paid for a cheap hotel in Brussels. But it’s beer o’ clock somewhere.